PREMIUM PACKAGE WITH HARMON KARDON SOUND SYSTEM, SIRIUS SATELLITE RADIO, APPEARANCE PACKAGE, HEATED FRONT SEATS AND MUCH MORE!PREMIUM PACKAGE WITH HARMON KARDON SOUND SYSTEM, SIRIUS SATELLITE RADIO, APPEARANCE PACKAGE, HEATED FRONT SEATS AND MUCH MORE! PREMIUM PACKAGE WITH VOICE CONTROL POWER REAR SUNSHADE, SPORT PACKAGE, LANE TRACKING PACKAGE WITH BLIND SPOT ASSIST, LANE KEEPING ASSIST, REAR VIEW CAMERA AND MUCH MORE!PREMIUM PACKAGE WITH VOICE CONTROL POWER REAR SUNSHADE, SPORT PACKAGE, LANE TRACKING PACKAGE WITH BLIND SPOT ASSIST, LANE KEEPING ASSIST, REAR VIEW CAMERA AND MUCH MORE! PREMIUM PACKAGE WITH HARMAN/KARDON SURROUND SOUND SYSTEM, LANE TRACKING PACKAGE WITH BLIND SPOT ASSIST, LANE KEEPING ASSIST, HEATED FRONT SEATS, REAR VIEW CAMERA AND MUCH MORE!PREMIUM PACKAGE WITH HARMAN/KARDON SURROUND SOUND SYSTEM, LANE TRACKING PACKAGE WITH BLIND SPOT ASSIST, LANE KEEPING ASSIST, HEATED FRONT SEATS, REAR VIEW CAMERA AND MUCH MORE! PREMIUM PACKAGE WITH KEYLESS GO®, LED HEADLAMPS, ADAPTIVE HIGH BEAM ASSIST, POWER REAR SUNSHADE HEATED & VENTILATED FRONT SEATS, REAR VIEW CAMERA, KEYLESS GO, LANE TRACKING PACKAGE WITH LANE KEEPING ASSIST, BLIND SOT ASSIST, ILLUMINATED DOOR SILLS AND MUCH MORE!PREMIUM PACKAGE WITH KEYLESS GO®, LED HEADLAMPS, ADAPTIVE HIGH BEAM ASSIST, POWER REAR SUNSHADE HEATED & VENTILATED FRONT SEATS, REAR VIEW CAMERA, KEYLESS GO, LANE TRACKING PACKAGE WITH LANE KEEPING ASSIST, BLIND SOT ASSIST, ILLUMINATED DOOR SILLS AND MUCH MORE! SMARTPHONE INTEGRATION WITH APPLE CARPLAY AND ANDROID AUTO, BLIND SPOT ASSIST, HEATED FRONT SEATS AND MUCH MORE!SMARTPHONE INTEGRATION WITH APPLE CARPLAY AND ANDROID AUTO, BLIND SPOT ASSIST, HEATED FRONT SEATS AND MUCH MORE! PREMIUM PACKAGE WITH NAVIGATION, SIRIUSXM RADIO, SPORT PACKAGE WITH LOWERED SUSPENSION, SPORT BODY STYLING, KEYLESS GO, LANE TRACKING PACKAGE WITH BLIND SPOT ASSIST, LANE TRACKING, LANE KEEPING, REAR VIEW CAMERA, PARKTRONIC, HEATED STEERING WHEEL, HARMAN/KARDON SURROUND SOUND SYSTEM, HEATED FRONT SEATS AND MUCH MORE!PREMIUM PACKAGE WITH NAVIGATION, SIRIUSXM RADIO, SPORT PACKAGE WITH LOWERED SUSPENSION, SPORT BODY STYLING, KEYLESS GO, LANE TRACKING PACKAGE WITH BLIND SPOT ASSIST, LANE TRACKING, LANE KEEPING, REAR VIEW CAMERA, PARKTRONIC, HEATED STEERING WHEEL, HARMAN/KARDON SURROUND SOUND SYSTEM, HEATED FRONT SEATS AND MUCH MORE! PREMIUM PACKAGE WITH PANORAMA SUNROOF, SIRIUSXM RADIO, MULTIMEDIA PACKAGE WITH NAVIGATION, APPEARANCE PACKAGE, LANE TRACKING PACKAGE WITH LANE KEEPING, BLIND SPOT, REAR VIEW CAMERA, HEATED FRONT SEATS, KEYLESS GO AND MUCH MORE!PREMIUM PACKAGE WITH PANORAMA SUNROOF, SIRIUSXM RADIO, MULTIMEDIA PACKAGE WITH NAVIGATION, APPEARANCE PACKAGE, LANE TRACKING PACKAGE WITH LANE KEEPING, BLIND SPOT, REAR VIEW CAMERA, HEATED FRONT SEATS, KEYLESS GO AND MUCH MORE! PREMIUM PACKAGE WITH KEYLESS GO®, HEATED FRONT SEATS, SIRIUS SATELLITE RADIO, BLIND SPOT ASSIST, SMARTPHONE PACKAGE WITH APPLE CARPLAY AND ANDROID AUTO AND MUCH MORE!PREMIUM PACKAGE WITH KEYLESS GO®, HEATED FRONT SEATS, SIRIUS SATELLITE RADIO, BLIND SPOT ASSIST, SMARTPHONE PACKAGE WITH APPLE CARPLAY AND ANDROID AUTO AND MUCH MORE! PREMIUM PACKAGE WITH SIRIUSXM RADIO, BLIND SPOT ASSIST, KEYLESS GO, SMARTPHONE INTEGRATION PACKAGE WITH APPLE CARPLAY AND ANDROID AUTO, REAR VIEW CAMERA, HEATED FRONT SEATS AND MUCH MORE!PREMIUM PACKAGE WITH SIRIUSXM RADIO, BLIND SPOT ASSIST, KEYLESS GO, SMARTPHONE INTEGRATION PACKAGE WITH APPLE CARPLAY AND ANDROID AUTO, REAR VIEW CAMERA, HEATED FRONT SEATS AND MUCH MORE! PREMIUM PACKAGE WITH BURMESTER SURROUND SOUND SYSTEM, INTERIOR PACKAGE WITH AMBIENT LIGHTING, HEATED FRONT SEATS, MB ILLUMINATED DOOR SILL PANELS, LIGHTING PACKAGE WITH ACTIVE LED HEADLAMPS, INTELLIGENT HIGH BEAM ASSIST, MULTIMEDIA PACKAGE WITH VOICE CONTROL, REAR VIEW CAMERA, BLIND SPOT ASSIST, PANORAMA SUNROOF AND MUCH MORE!PREMIUM PACKAGE WITH BURMESTER SURROUND SOUND SYSTEM, INTERIOR PACKAGE WITH AMBIENT LIGHTING, HEATED FRONT SEATS, MB ILLUMINATED DOOR SILL PANELS, LIGHTING PACKAGE WITH ACTIVE LED HEADLAMPS, INTELLIGENT HIGH BEAM ASSIST, MULTIMEDIA PACKAGE WITH VOICE CONTROL, REAR VIEW CAMERA, BLIND SPOT ASSIST, PANORAMA SUNROOF AND MUCH MORE! PREMIUM PACKAGE WITH KEYLESS GO®, SIRIUSXM RADIO, BLIND SPOT ASSIST, HANDS-FREE ACCESS PACKAGE, SMARTPHONE INTEGRATION PACKAGE WITH APPLE CARPLAY AND ANDROID AUTO, ILLUMINATED STAR, REAR VIEW CAMERA, BURMESTER SURROUND SOUND SYSTEM, HEATED SEATS AND MUCH MORE!PREMIUM PACKAGE WITH KEYLESS GO®, SIRIUSXM RADIO, BLIND SPOT ASSIST, HANDS-FREE ACCESS PACKAGE, SMARTPHONE INTEGRATION PACKAGE WITH APPLE CARPLAY AND ANDROID AUTO, ILLUMINATED STAR, REAR VIEW CAMERA, BURMESTER SURROUND SOUND SYSTEM, HEATED SEATS AND MUCH MORE! Pre-Owned vehicle pricing includes all offers. Tax, Title and Tags not included in vehicle prices shown and must be paid by the purchaser. While great effort is made to ensure the accuracy of the information on this site, errors do occur so please verify information with a customer service rep. 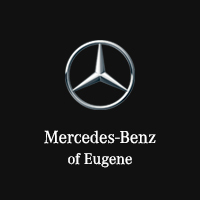 This is easily done by calling us at 541-687-8888 or by visiting us at the dealership.